RT SirAhmadShahzad: Teams gone back to hotels. 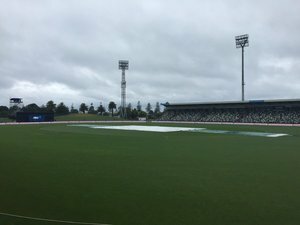 Rain has delayed the start of the 2nd ODI at Napier. The cut off time is 11.15am PST. Teams gone back to the hotel. #NZvPAK , 2nd ODI: Toss delayed due to haevy rain. 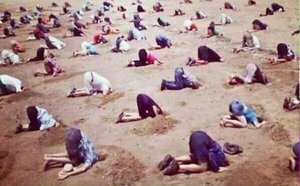 http://pbs.twimg.com/media/CZxQyJJWIAAZK45.jpg"
Cricket fans be like now after rain !!!! Wakeup at 6, offer Fajr and then sleep again. "Trending India 07:21 AM IST"
NAPIER: Pakistan aor New Zeeland K Darmiyan Doosray ODI Match Se Qabal Barish, Toss Takheer Ka Shikar, Barish Ka Sinsla Jari. RT @TheMehwish : Wakeup at 6, offer Fajr and then sleep again. Pakistan aor New Zeeland K Darmiyan Doosray ODI Match Se Qabal Barish, Toss Takheer Ka Shikar, Barish Ka Sinsla Jari. #NZvPAK likely to be Match washout. In Cricket, Rain always try to play a "Phupo Wala " Role !!! 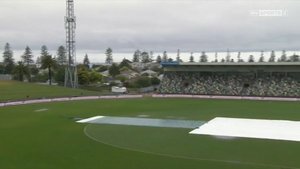 It's raining at napier. 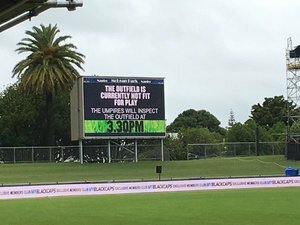 The next inspection will be at 3.30 pm local time; which is 1.5 hours away #Cricket #NZvPAK ""
Rain has delayed the start of the 2nd ODI at Napier. 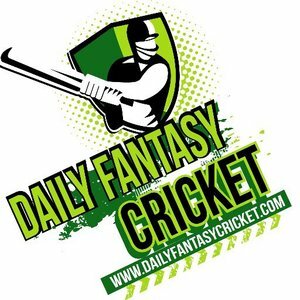 The cut off time is 11.15am PST #NZvPAK "